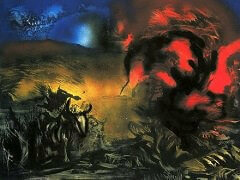 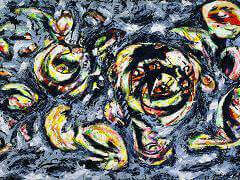 Jackson Pollock paintings for sale, do you want to sell? 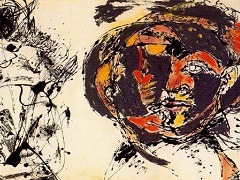 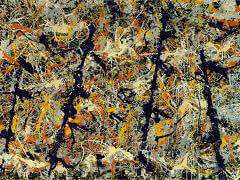 I currently have 2 Pollock Paintings for sale.If you wish to sell a painting please contact me. 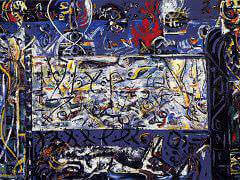 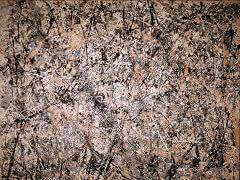 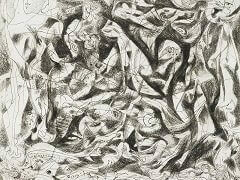 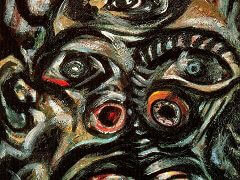 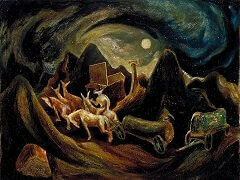 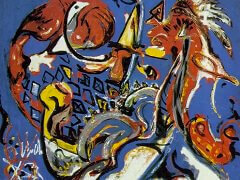 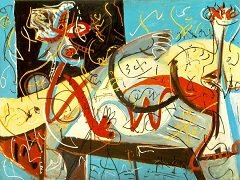 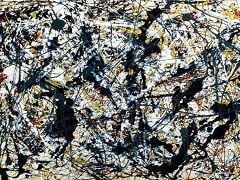 In 2003, twenty-four Pollock-esque paintings and drawings were found in a locker in Wainscott, New York. 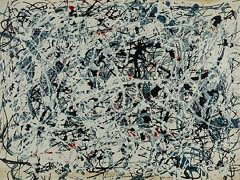 An inconclusive debate continues about whether or not these works are Pollock originals. 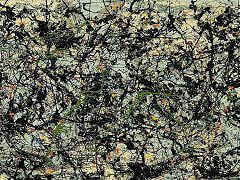 Physicists have argued over whether fractals can be used to authenticate the paintings. 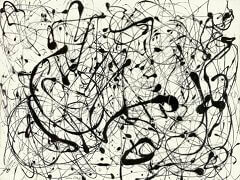 This would require an analysis of geometric consistency of the paint splatters in Pollock’s work at a microscopic level, and would be measured against the finding that patterns in Pollock’s paintings increased in complexity with time. 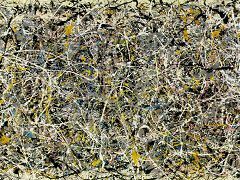 Analysis of the paintings by researchers at Harvard University showed the presence in one painting of a synthetic pigment that was not patented until the 1980s, and materials in two others that were not available in Pollock’s lifetime. 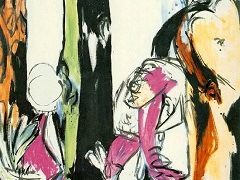 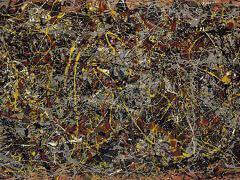 In 2007 a traveling museum exhibition of the paintings was mounted and was accompanied by a comprehensive book, Pollock Matterswritten by Ellen G. Landau, one of the four sitting scholars from the former Pollock Krasner Foundation authentication panel from the 1990s and Claude Cernuschi, a scholar in Abstract Expressionism. 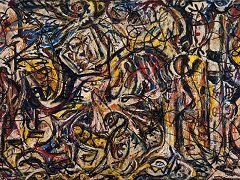 In the book, Ellen Landau demonstrates the many connections between the family that owns the paintings and Jackson Pollock during his lifetime in order to place the paintings in what she believes to be their proper historic context. 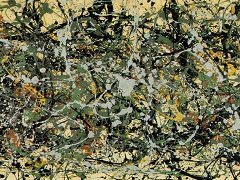 Landau also presents the forensic findings of Harvard University and presents possible explanations for the forensic inconsistencies that were found in three of the 24 paintings. 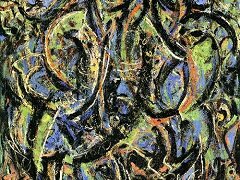 In 2006 a documentary, Who the *$&% Is Jackson Pollock? 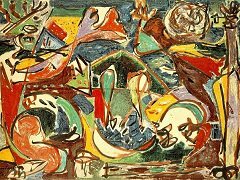 was made concerning Teri Horton, a truck driver who in 1992 bought an abstract painting for five dollars at a thrift store in California. 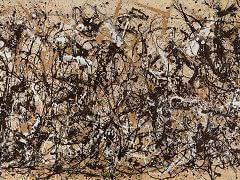 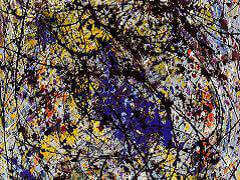 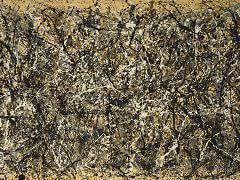 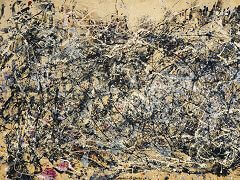 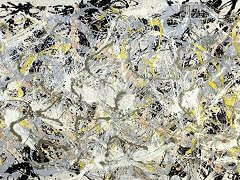 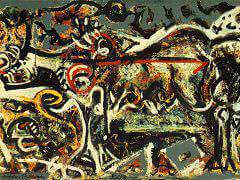 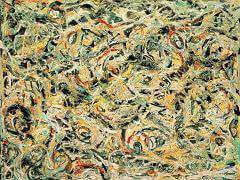 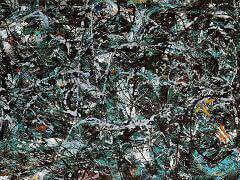 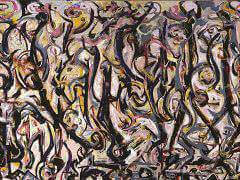 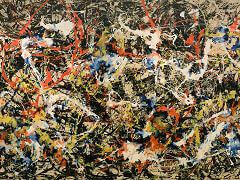 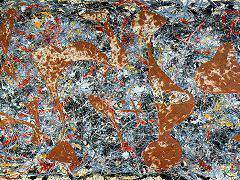 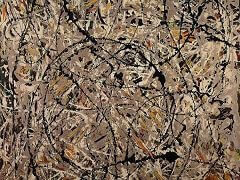 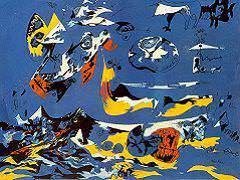 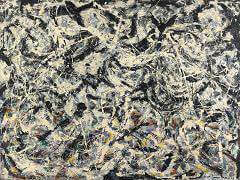 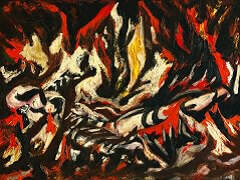 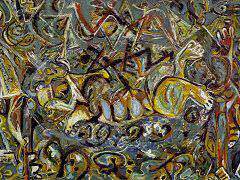 This work may be a lost Pollock painting but its authenticity is debated. 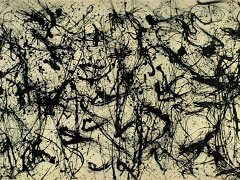 Untitled 1950, which the New York-based Knoedler Gallery had sold in 2007 for $17 million to Pierre Lagrange, a London hedge-fund multi-millionaire, was subject to an authenticity suit before the United States District Court for the Southern District of New York. 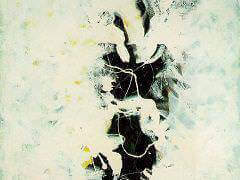 Done in the painter’s classic drip-and-splash style and signed “J. 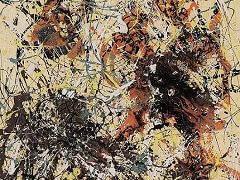 Pollock,” the modest-size painting (15 inches by 281 1/2 inches) was found to contain yellow paint pigments not commercially available until about 1970. 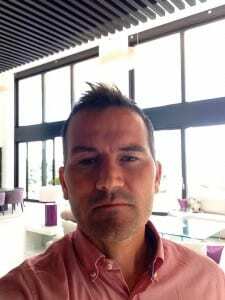 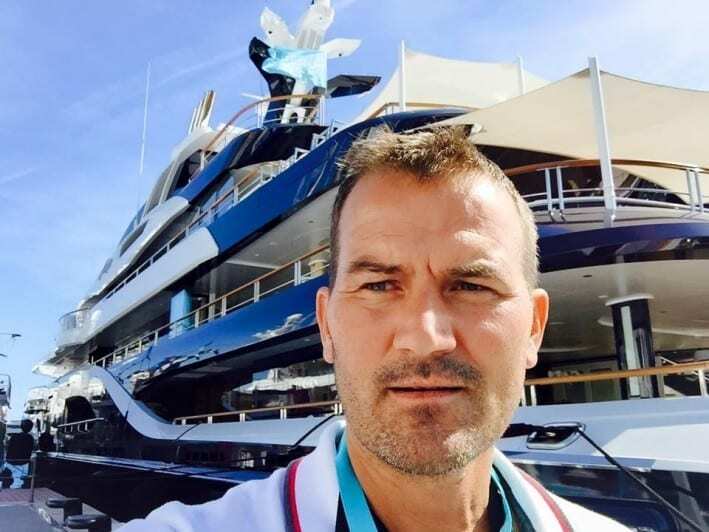 The suit was settled in a confidential agreement in 2012.